Where can you learn about BB creams, cleansing waters, unique brands like Heidi D, luxurious brands like Rouge Bunny Rouge, drugstore brands like Maybelline plus watch a makeover? And that's only touching the surface! 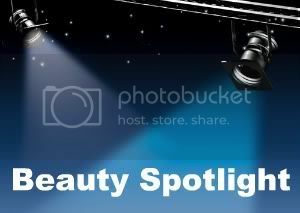 The Beauty Spotlight Team is where you can learn about all these and more. Jen from My Beauty Bunny shares her tutorial on how to apply mineral foundation. Are the new B.B. Creams biased against the unnaturally pale? Lisamarie from Beauty Crazed tries a bunch out - go find out if she is launching a discrimination lawsuit or not! Are you ready to bring out your inner child? Beauty Info Zone wants to show you how with Maybelline Dream Bouncy Blush. At Everyday Beauty, Zuzu's Petals talked about how her routine has changed over the last few years and wondered if yours has, too. Want to see what is in the new Jo Malone Vitamin E Moisturising Day Creme spf 15? Then check out London MakeUp Girl's post on it, including the ingredients list, here: Jo Malone Vitamin E Day Creme. Modesty Brown shows us swatches of all four Rouge Bunny Rouge Seas of Illumination Liquid Highlighters. This is definitely one for the makeup magpies! Have you guys ever tried a cleansing water? Paula, from Older Girl Beauty, tells us about Nars and MAC bringing this previously foreign cleansing method to our shores. Its time for monthly favorites! Pammy Blogs Beauty reveals her Star Products for the month of January 2011. Perilously Pale tempts us with more Rouge Bunny Rouge. This time a delicious serving of Jungle Fudge Glass Gloss. Prime Beauty discovers her perfect My Lips But Better Lip Gloss and the collection describes her perfectly. Introducing the Heidi D Bossy Collection! A foray into Organic makeup, Visionary beauty reviews the perfectly coordinated eye shadow palette #6 from Nvey Eco.